This is a very tall 6' mixed grass and cypress plant display. This artificial arrangement is already potted in a designers decorative container to make a wonderful finished look to your room. 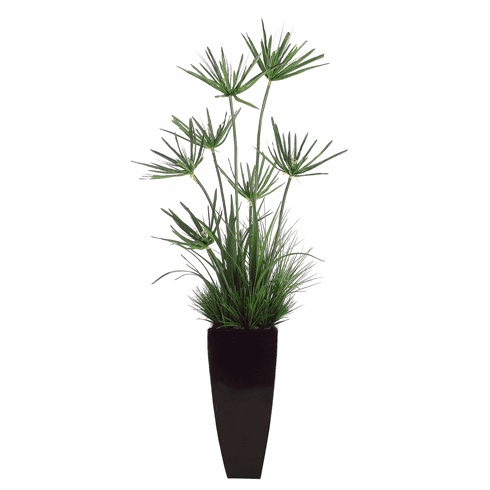 The Cypress plants stands tall in this arrangement as the artificial grass comforts its beauty. Size: 6 feet measured from bottom on decorative container to tallest point of the artificial plant.